Trump and his Chinese counterpart Xi Jinping negotiated a trade war truce. Trump agreed to delay raising tariffs on $200 billion worth of Chinese imports to 25 percent in return for Chinese promises to purchase more American agricultural, energy, and industrial exports and reduce the trade deficit. This ceasefire is double victory for Americans. The most obvious winners are the farmers who have seen their export markets dry up as a result of China’s retaliatory tariffs. Soybean farmers, for instance, will see much needed relief from the deal, as the price of soybeans — the most valuable agricultural export in the country — has plummeted after China slapped them with a 25 percent tariff on July 6. In addition, countless small businesses selling everything from lobsters to whiskey, whose access to one of the biggest markets in the world has diminished as a result of the trade war, will see their Chinese business boom as a result. American consumers are the other major victors. They avoid facing major price spikes on China-made consumer goods, homewares, and electronics that were set to take place on January 1st. The pain of these price increases on everyday items would have been exacerbated because they would have coincided with millions of consumers trying to pay off their Christmas credit card bills. Small businesses, dealing with one of the slowest months of the year in January, also avoid paying more for inputs that are made in China. Following the G20 meeting, President Trump tweeted that in the wake of the trade agreement, China has agreed to reduce and remove its 40 percent tariffs on American cars. With GM announcing major layoffs and other American carmakers also struggling, the elimination of this major tariff amounts to an early Christmas present. Despite the positive outcome of the G20 trade talks, the underlying drivers of the trade war remain. These include China forcing American companies to transfer their technological know-how, among other intellectual property abuses. Another point of contention is China’s widespread subsidies that allow its exports to enter U.S. markets at an artificially low cost. Such issues must be overcome to turn this truce into lasting economic peace and prosperity for both countries. The U.S. and China agreed to continue working toward a solution in further talks this month. Diplomatically, there was also progress. The White House revealed that Xi would continue to push for a nuclear-free North Korea, while Beijing said Trump would respect the One-China policy regarding relations with Taiwan — both major points of contention in Sino-American relations. China also promised to take action against fentanyl production, which is the leading factor in America’s ongoing opioid overdose epidemic. The U.S. and China trade ceasefire came on the heels the signing of the new Nafta agreement, dubbed USMCA, by the U.S., Mexico, and Canada. The new agreement includes many provisions that put American businesses and exporters in a better position. For instance, it opens up Canada’s long protected dairy market, a major source of contention among domestic dairy farmers in states like Wisconsin and New York. And it strengthens copyright and patent protections, helping American artists and entrepreneurs earn what they deserve. President Trump’s G20 trade victories vindicate his aggressive trade strategy that is based on creating leverage to negotiate better deals for Americans. His “Tariff Man” admission last week that roiled financial markets was just the latest example. 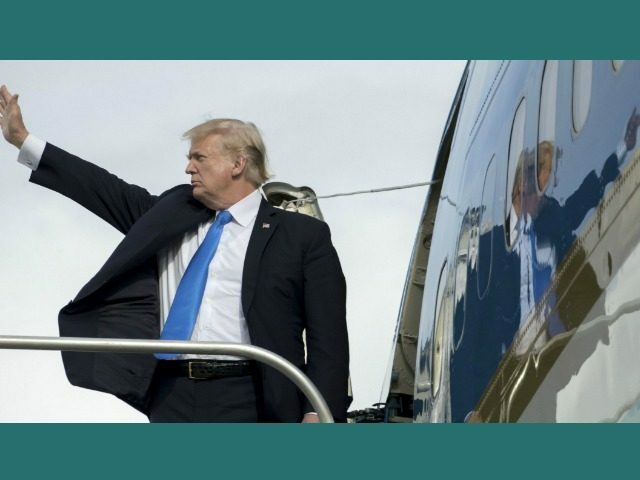 While he has been derided by free traders as protectionist, his approach is ironically on track to create freer and fairer trade than any of his predecessors. Consumers, small businesses, and exporters will be the beneficiaries.